Sports Desk: Neymar's father has quelled transfer speculation around his son by claiming that he and Paris Saint-Germain (PSG) are already discussing a contract extension. The departure of Cristiano Ronaldo has left a gaping hole in Real Madrid's attack and rumours have been swirling over the Brazil international, linking him with a big-money move to Santiago Bernabeu, or even with a shock return to former club Barcelona. 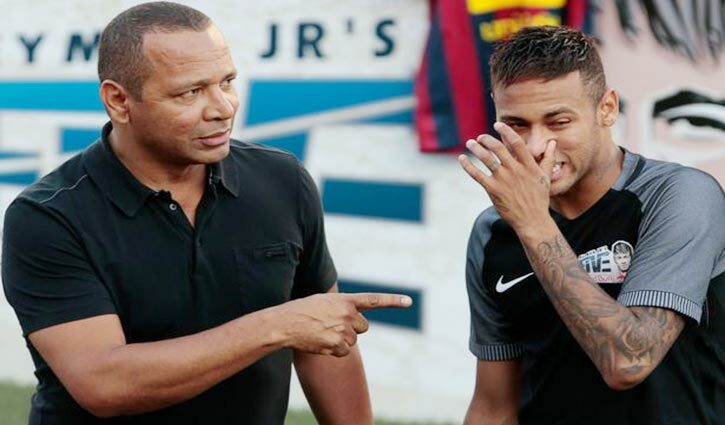 However, Neymar Sr.- who acts as his agent - has sought to calm talk of his son moving on after just two years in Paris, revealing that fresh terms are being discussed just two seasons into his five-year deal. "He is in the second year of his contract (with PSG) so he still has three years before the end of his contract (in 2022)," Neymar Sr. told UOL. "We are already talking about an extension with PSG." "His name has been speculated since he was 17, from the moment he made his professional debut. "Neymar has only had two transfers in his life but there has been speculation for 10 years. The probability that he will not leave is too great. "People say: 'Neymar is in all the transfer rumours to the big clubs in each transfer window'. "This means that there is good management of his career, he is always among the names [of clubs who matter]. "But that does not mean he's going to go to one club or another." It is the second time in as many seasons Neymar has watched on from the sidelines as the Parisians have been knocked out of Europe after a similar injury ruled him out of PSG's last-16 second leg defeat to Real Madrid in last term. He is, however, set to return in the coming weeks as he looks to help Thomas Tuchel's side complete a domestic double of the Ligue 1 title and Coupe de France.